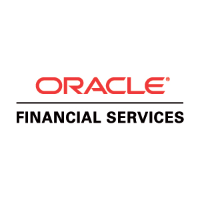 Oracle FSS has unveiled the latest release – V14 – of its flagship core banking system, Flexcube. The vendor says Flexcube V14 boasts “1,200+ new enhancements designed for a connected banking experience and new blockchain, machine learning adapters”. It also marks “a significant milestone” in Oracle’s componentisation strategy. The new version has over 1,000 APIs “to jump start initiatives” to integrate with third party service and tech providers, corporates, other banks and networks. Flexcube is a well-established core banking solution, with hundreds of users across the globe, including Heartland Bank in New Zealand, Bank of Valletta in Malta, MKB Bank in Hungary, Silicon Valley Bank in the US, Weatherbys Bank in the UK, Aman Bank in Libya, Skye Bank in Nigeria, ST Bank in Laos, and Azizi Bank in Afghanistan. New Zealand-based Heartland Bank has gone live with its new core banking system, Oracle FSS’s Flexcube. Aziz Bank in Afghanistan has selected JMR Infotech to help it implement a new core banking system, Oracle FSS's Flexcube. Azizi signed for Flexcube two years ago, but the work is only starting now, following a tender to find a system integrator. Includes a full replacement of its core banking system.